Sales Enablement Software and Content Creation Platform | Lucidpress . ', failHtml: "
Align sales & marketing with Lucidpress — the sales enablement platform that keeps your marketing & sales content in one centralized location while keeping your brand in check. See us in action—ask for a FREE demo today! Provide sales reps with the content they need, when they need it. Not only is all of your sales collateral stored in one easy-to-access location, but reps are empowered to edit & create on-brand content on their own… and fast. Unlike other sales enablement companies, Lucidpress puts a focus on maintaining brand consistency and shortening the content creation process. 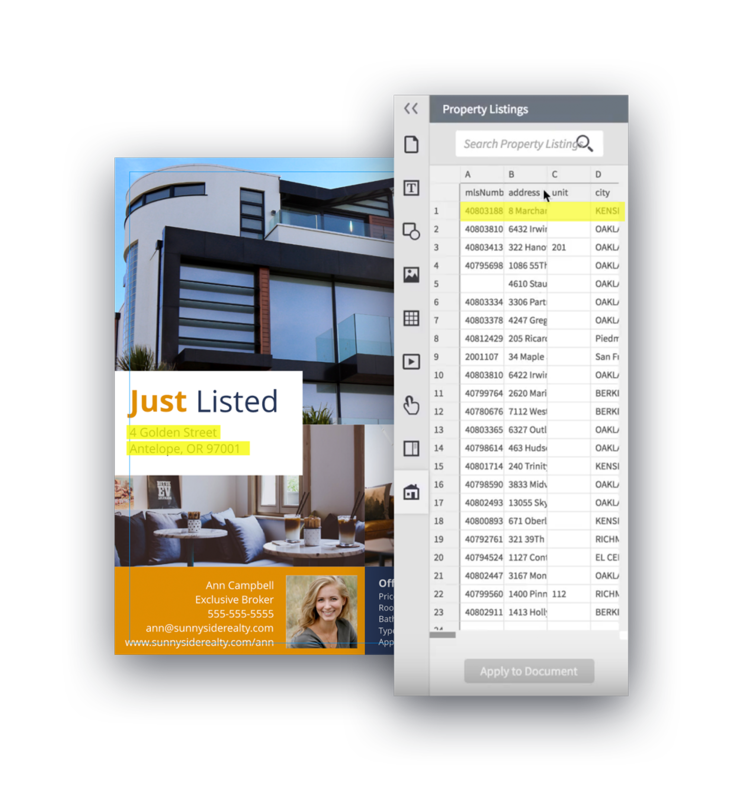 Finding and sharing the right sales collateral at the right time has never been easier. 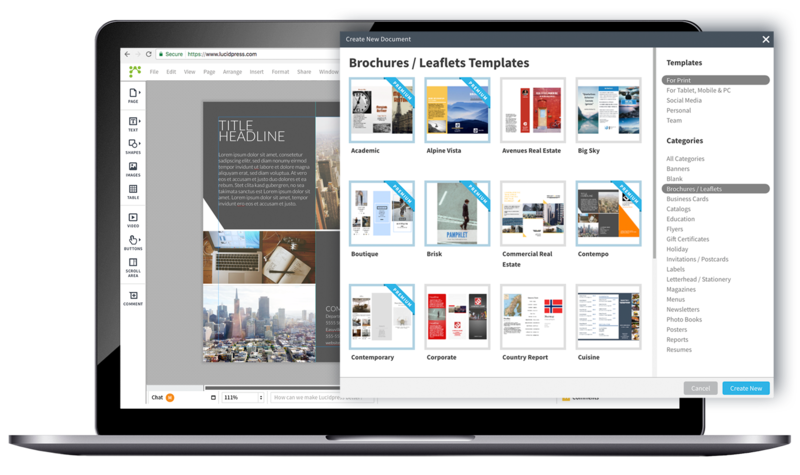 From short slide presentations to lengthy business reports, Lucidpress provides sales teams with the variety of templates they need to properly sell to potential customers. 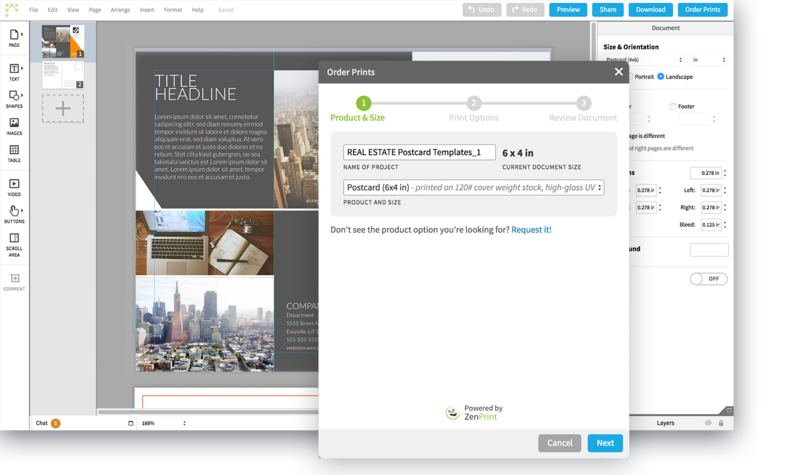 Our template gallery offers great ideas for sales proposals, invoices, ebooks, brochures & more. Designers & marketers can lock down important brand assets on sales templates (like fonts & colors), ensuring sales reps never have to worry about staying on brand. Say goodbye to long wait times for creating or customizing sales collateral—and hello to a strong, consistent brand. Lucidpress is a simple drag-and-drop solution built in the cloud, which means creating, finding & sharing content is smooth and effortless. If you’re currently using other sales enablement software vendors, Lucidpress acts as the perfect bridge between your CRM and your sales enablement content. Lucidpress is a scalable solution that works for teams of all sizes, whether you’re a team of two or part of a large, distributed enterprise. It’s designed to simplify the sales process by empowering sales reps to create, customize and distribute sales content—all without losing control of the brand. It’s flexible, it’s intuitive, and it works. Our sales enablement software includes a vast library of professionally designed templates. Designers can either choose a pre-made template or create a design from scratch. Sales reps can duplicate existing templates and tweak them themselves if needed. Before handing off content to the sales team, designers & marketers can lock down the organization's logos, images & fonts to ensure the brand stays protected. 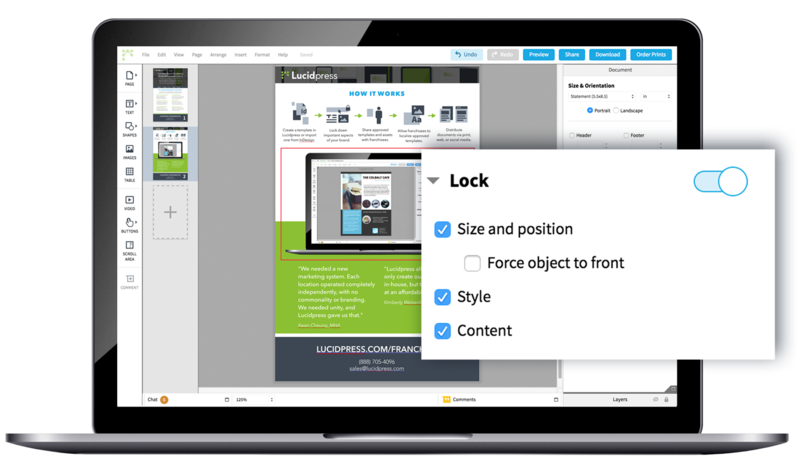 Brand assets are all stored safely in the Lucidpress editor for easy access. Sales teams shouldn't have to wait days for easy-to-create collateral — they should be able to create it themselves. 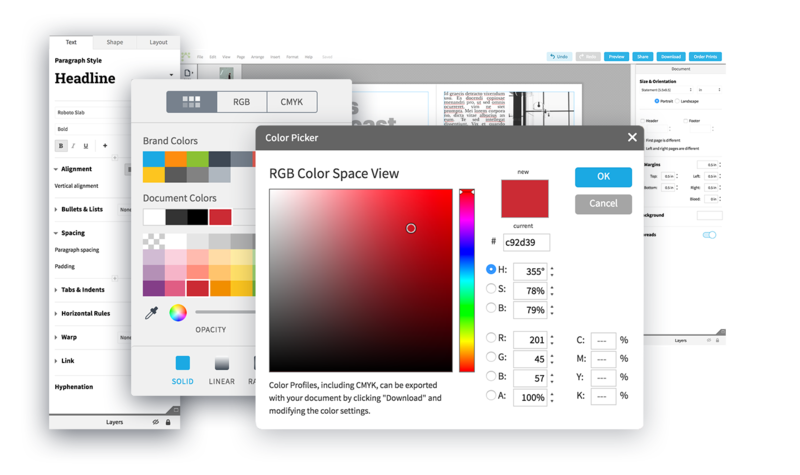 Lucidpress's drag-and-drop design makes it easy for sales reps to update templates without ever disrupting the brand. Content is not only easy to share across the organization, but with prospects, too. Sales reps can publish digital copies of their collateral then share them via a direct link, social media, and even direct mail delivery. Lucidpress goes further than traditional sales enablement solutions, picking up where other CRM platforms like Salesforce leave off. From marketing automation to analytics, our software streamlines the sales process by making it easy for everyone to customize & share branded content with lightning speed. This makes Lucidpress an integral addition to your existing sales & marketing tools. Empower your sales team to send beautifully designed emails that elevate your brand instead of undermining it. Lucidpress pairs well with popular email & marketing automation platforms like Constant Contact, Mailchimp and Gmail. It’s simple to preview emails, generate HTML code, and publish or download your designs in a variety of formats. Better emails make your team look more professional and trustworthy, opening the door to better customer relationships. It’s been said that 60-80% of marketing content goes unused by the sales team. That’s a lot of time wasted and opportunities lost—but you don’t have to let it continue. Especially when you can use analytics to measure the impact of your sales content. Lucidpress gives you that data, so you can make better business decisions. Integrate with Google Analytics to track viewer behavior and deliver deeper insights to your team. Sales reps shouldn’t have to spend hours cobbling together copy & images to create their own content—or days waiting on the marketing team to do it for them. Instead, bring the magic of data automation to your branded sales templates. Lucidpress can auto-populate your documents with frequently used information, like names and phone numbers. Your team can import data from a variety of sources to customize content quickly without compromising the brand.